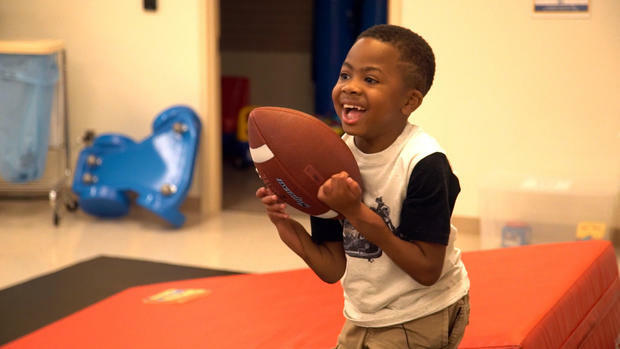 One year after receiving a double hand transplant, 9-year-old Zion Harvey is -- to steal an old baseball metaphor -- batting a thousand. Last summer, doctors at Penn Medicine and Children’s Hospital of Philadelphia transplanted donor hands and forearms onto Harvey in the first operation of its kind ever performed on a child. Harvey had lost his hands and feet at the age of 2 due to a serious infection that also led to organ failure and a kidney transplant. This summer, he is throwing baseballs over home plate, writing in his journal, making himself lunch, zipping up his own clothes and serving up birthday cake to family and friends, his medical team reports.